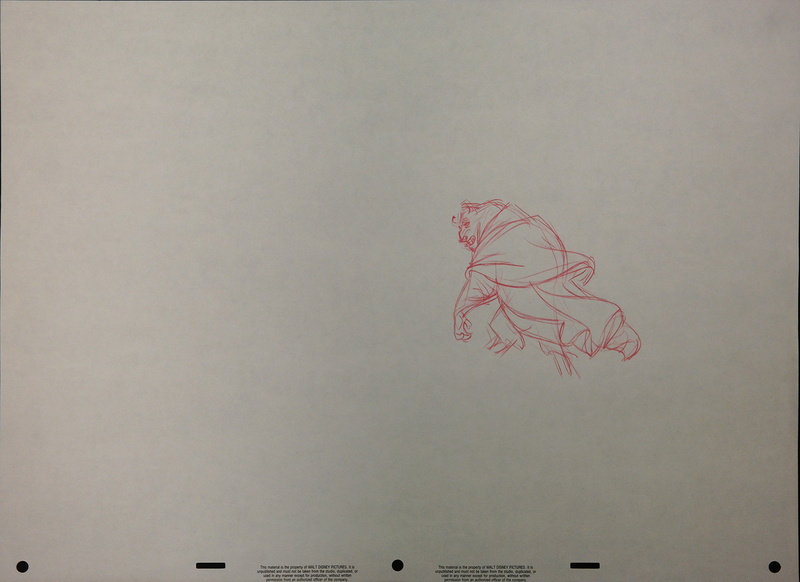 Original rough character study production drawing featuring Beast from the forest scene of Beauty and the Beast, just after he saved her from the wolves. The sheet is untrimmed, measuring 12.5" x 17," and the image of Beast measures 4" x 4.5". The drawing was created by Disney animator Mike Cedeno and is in excellent condition.